Linux is a great Operating System which can give small businesses access to enterprise quality products normally only available for the big boys. The downside to going down the Linux and Open Source route compare to a Windows based solution, is the configuration can be less user friendly. This was highlighted recently when I needed a FTP Server with a graphical user interface which a Windows end user would be happy using. Don’t get me wrong the open source movement is improving all the time, you need only take a look at Ubuntu and compare it to Windows Vista or Mac OSX, you’d be surprised. Although most comments on Linux forums when this question is asked, is why do you need GUI for FTP Server? Simple, not all businesses have an IT department and 99% of people would run scared if you showed them command shell, "I want Windows" would probably be the cry! 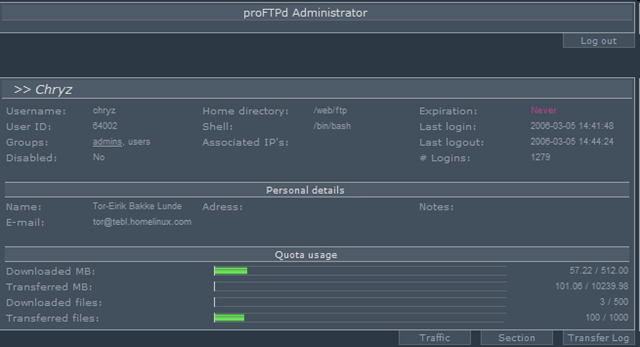 Back to the topic in hand, a Linux FTP Server with a graphical user interface (GUI). Well, I struggled to find any all in one solutions which seem to be abundant on the Windows platform, Xlightftpd, Cerberusftp, Filezilla Server etc. The solution so far seems to be add on programs that provide GUI to existing FTP software on the Linux platform. Which kind of makes sense given the maturity of FTP Server software on Linux, why re-invent the wheel? 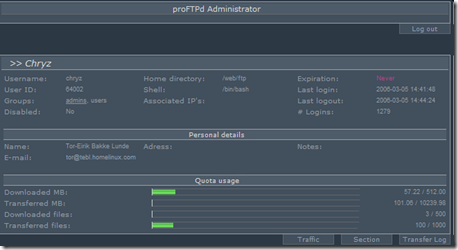 GPROFTPD is an easy to use GTK+ administration tool for the proftpd standalone server. 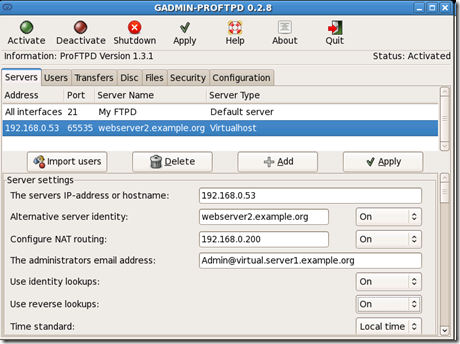 GProftpd and Proftpd gives admins access to virtual hosting, 8 layers of security including chrooted users and encrypted transfers on both the data and/or control channels. It is ideal for both standard ftp serving and webhotels. PureAdmin is a graphical tool used to make the management of PureFTPd a little easier. It uses the GTK+2.x widgets for its GUI and thus are not dependent on a specific desktop environment such as GNOME or KDE. It is, however, designed with the GNOME Human Interface Guidelines in mind so it should integrate nicely with at least GNOME. KcmPureftpd is an KDE KControl module for configuring pure-ftpd FTP server. The goal is to have medium users to configure their server securely and conveniently, without the burden of knowing tons of command line switches. Kproftpd is a graphical Qt and KDE libs based frontend to the ProFTPD ftp-server. The target is to build a easy to use application, to configure the proftpd. 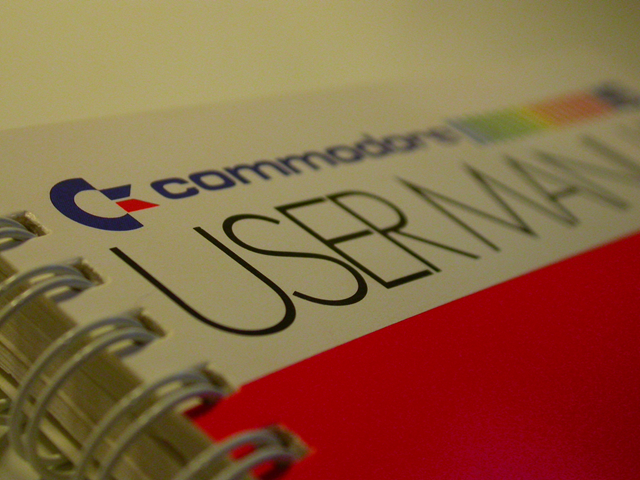 its designed with the help of KDevelop. Webmin is browser based product that allows you to manage a wide range of services running on your Linux box, including FTP servers. ProMA is a PHP-based system for administrating a ProFTPd server that stores users in a MySQL database. 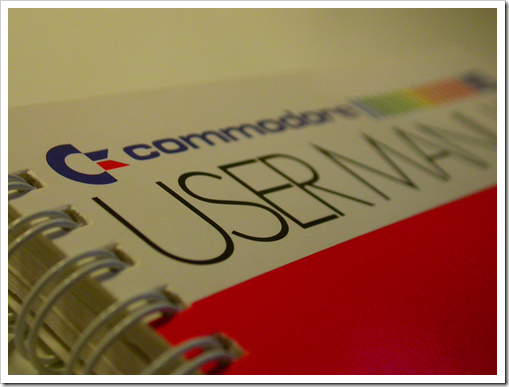 Its features include support for multiple administrators, mail notifications when new users register and when accounts are approved, closing of accounts temporarily, and a notepad per user for the admins. 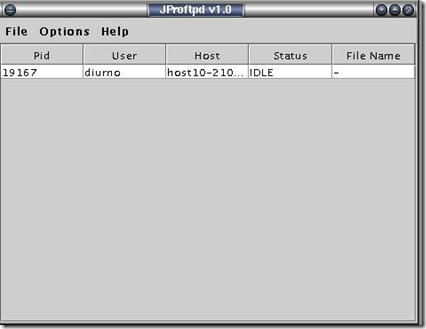 A very simple Java based admin tool for use with ProFTPd. 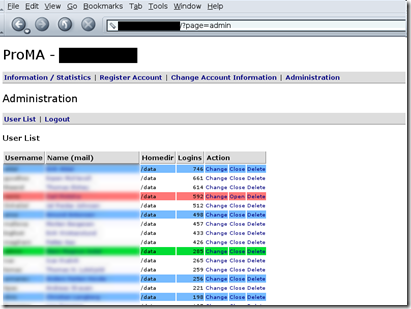 PPMy is a simple Web-based administration utility to administer users and groups to a ProFTPD server, storing users and groups in a MySQL database. 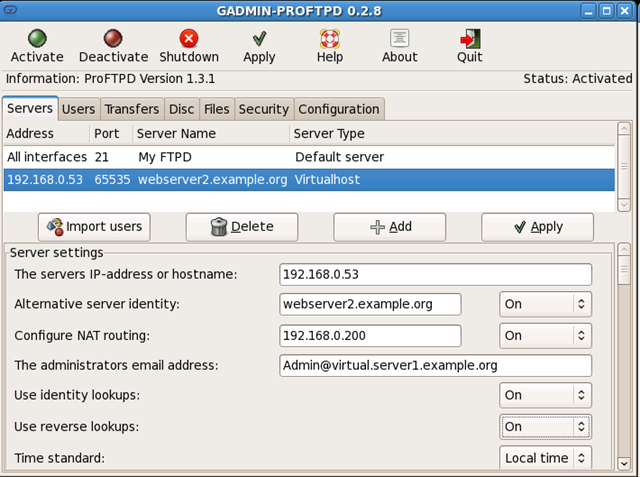 GAdmin-ProFTPD is a GTK+ frontend for the ProFTPD standalone server. It gives admins access to virtual hosting and eight layers of security, including chrooted users and encrypted transfers on both the data and/or control channels. 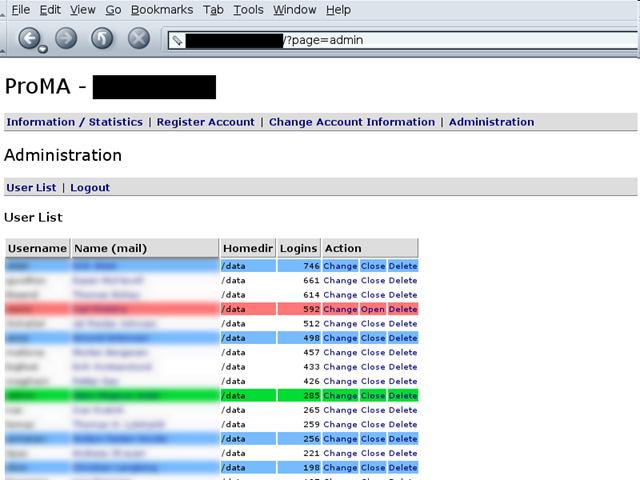 A web-based tool written in PHP aimed at managing users and groups for a ftp-server called "proFTPd". Missed any worth mentioning? Leave a comment and we’ll update the post.